Want to know how to import private keys into Exodus? It's easy! ... This guide has you covered! Exodus supports importing both compressed and uncompressed private keys. 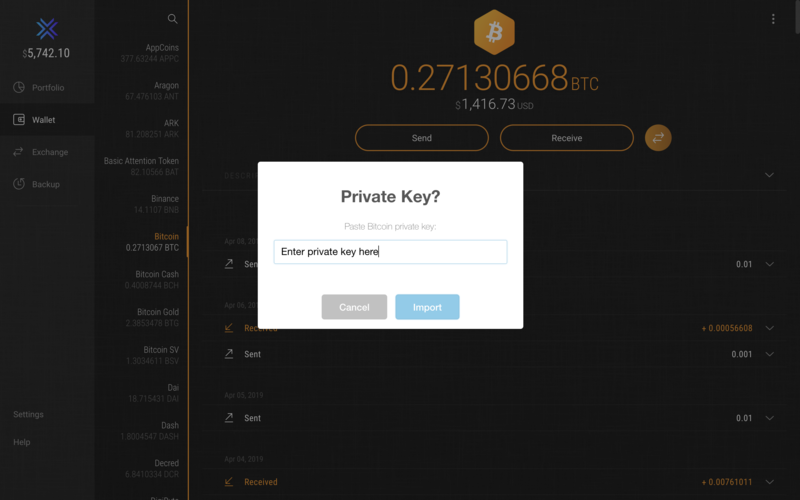 For Bitcoin and Bitcoin Cash, Exodus also supports importing encrypted (password protected) private keys. You can import the secret key for both Ripple (XRP) and Stellar Lumens (XLM) in the same manner as you import a private key. This process does not actually "import" the private key. It sweeps the funds from the private key's address into your Exodus address so that the "imported" funds remain associated with your 12-word phrase. If you have the option to send the funds as a normal transaction, you can do so since it effectively performs the same function. Below we show an example using Bitcoin, but the process is the same for all other assets. Next, click on the the three dots in the upper right hand corner of your wallet to reveal the Asset Menu and select Move Funds. 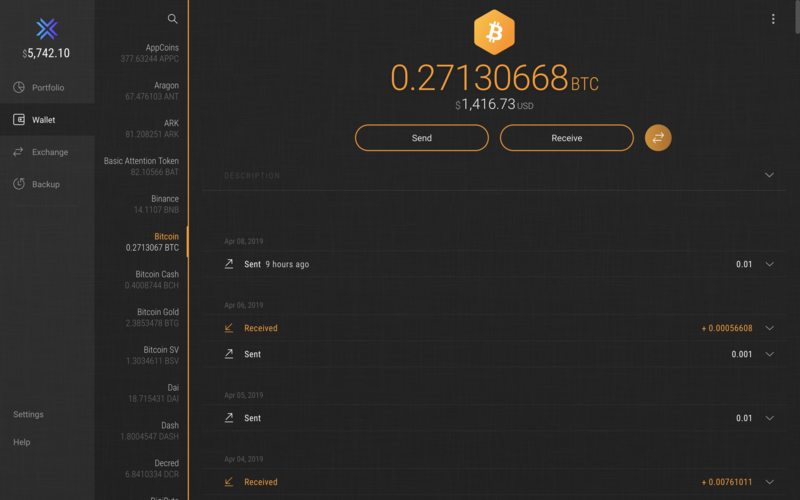 If you don't see the Asset Menu option in your wallet, be sure to update to our latest release. Type or paste the private key into the pop up and click import. Exodus will use your entered private key and sweep the funds into your wallet. For some assets, the option will be "Move Funds (WIF)...". The reason for this difference is that for Bitcoin and Bitcoin Cash you can also import encrypted Private Keys and for Ethereum based assets there's no WIF format of the private key.